To place an order online you must log in. If you have a Johnstone's Decorating Centre store credit account, you can register your account to view your account information and order online. To enquire about opening a Johnstone's Decorating Centre store credit account, please call 01924 354669 or speak to your local store manager. Login below to view your account and invoices and to place orders online. 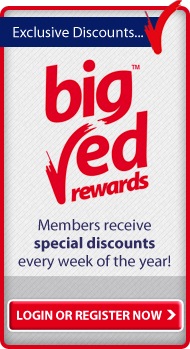 To login or register either your cash or credit account for Big Red Rewards, please click here. There are no products set up in this section. Registered Office: Huddersfield Road, Birstall, Batley, West Yorkshire, WF17 9XA.